Retro Tetris iPhone Case ... Buy 2, Get 10% More Off! Integrated Into Your iPhone Case! Simply the best gift for those who remember simpler times or those who just can't find enough ways to procrastinate in a fun way! This high quality phone case (iPhones only, sorry Android's!) 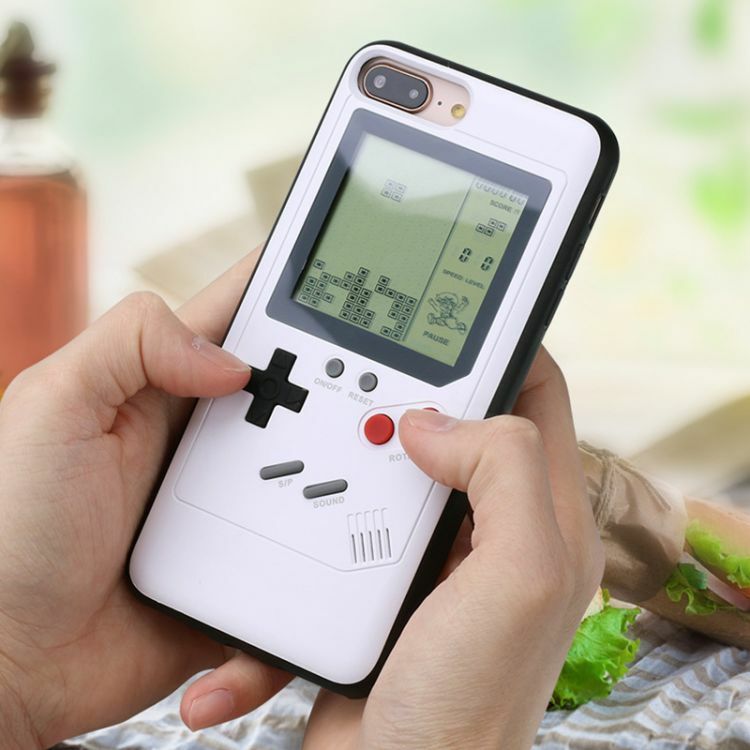 protects your phone AND comes with a fully functional, replica Gameboy loaded with the classic Tetris game. BUY 2 GET ANOTHER 10% OFF! MUST ADD 2 TO CART!! THESE SOLD OUT IN 48 HOURS LAST WEEK - ORDER NOW! Would you like 2 items, and get ANOTHER 10% off! ?